DINNER UNDER THE STARS AT PLAYA DEL SOL, SOTTOMARINA (VE) The sunset, a dinner made with fish and some good Italian wine, the light of the candles, the sound of the waves. 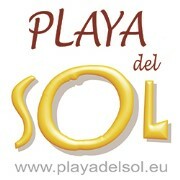 At PLAYA DEL SOL we try to involve the use of typical products, in a very magic set, with tables and chairs in the middle of the beach. There is a suggestive atmosphere: the only light is the light from the candles and relaxing music is played. The dinner is made by food from the tradition of Chioggia. The nights “under the stars” are made to be in the middle of the beach, depending on the weather. If the weather is not ok, we have the restaurant, always with a magic view. For those who want to participate at the dinner, the Direction gives services for free for the entire day (umbrella and sunbed). PLAYA DEL SOL Sol means Beach of the Sun, and it’s synonym of wellness, good food, out-doors activities, relax, good times and safety. PLAYA DEL SOL is the perfect place where you can spend your holiday in the spirit of your passions, relax, and discover our services and the surrounding beauties. You will find a fresh environment, that is neat and simple, but also elegant. Our family-run business continuously looks for optimal solutions for our hosts’ needs, and we are naturally people-oriented. PLAYA DEL SOL is located on the Northern littoral of Sottomarina, within a stone’s throw from the Chioggia historical center, that is antique and picturesque, also known as “little Venice”. Chioggia is also a “City of Arts”, and the visitor can see the artistic meaningful monuments by walking through the town from the South (Saint Mary’s door) to the North (Vigo Small Square), on the Corso of the People. Sottomarina’s littoral beach is famous for its very thin sand, the breezy climate and the therapeutic qualities of the iodine, which make such beach recommended for therapies and nice suntans.